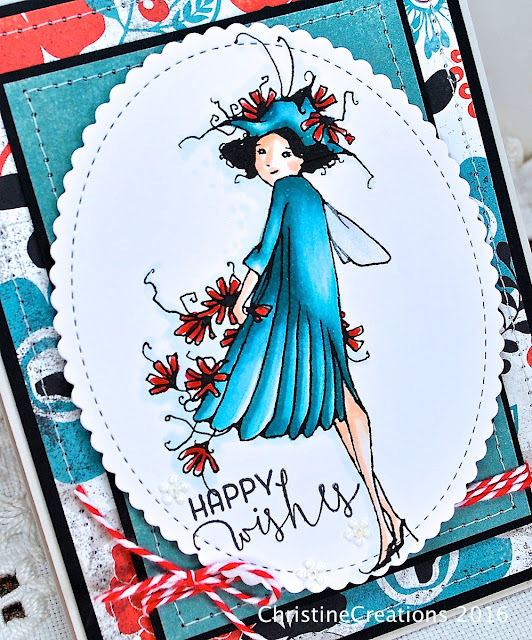 It’s a pretty little garden fairy today to kick off The Daily Marker’s 30 Day Colouring Challenge. I coloured her up just for fun in this pretty dress, giving it an ombre feel, perfect for this week’s ADFD Challenge. She’s called Fairy Flower Waiting from A Day for Daisies. 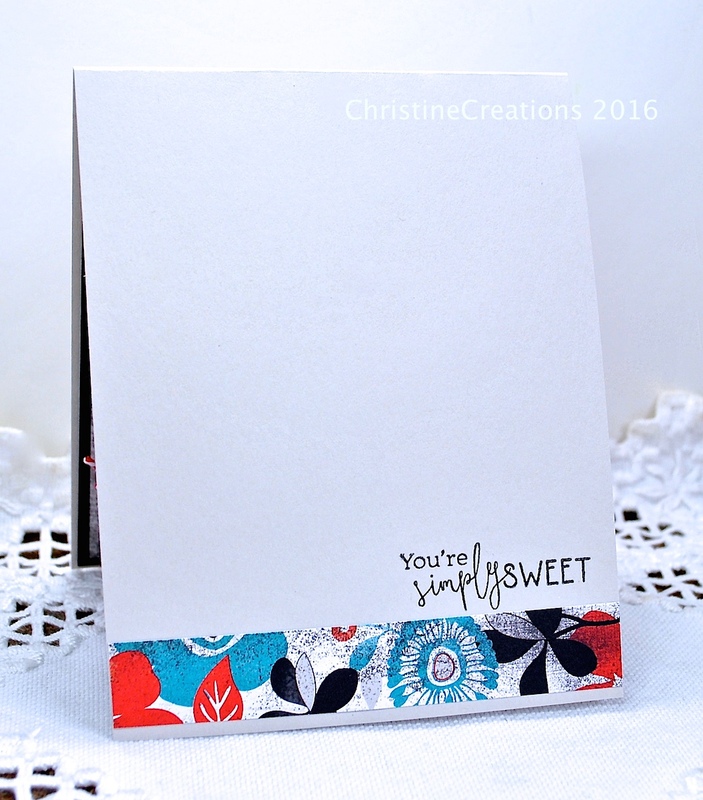 When I found this older pack of paper in my stash (Authentique Celebrate), I thought the patterns and florals would pair with her beautifully. Isn’t it a fun colour combination? I really like the corally-red, teal and black. I have some pretty little petal sequins from Simon Says to accent (they’re so dainty!) and then I added some baker’s twine to finish it off. 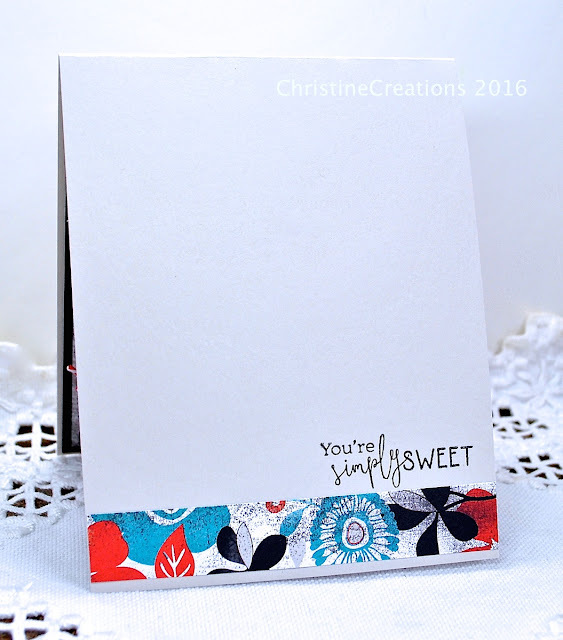 The sentiments are from Power Poppy’s Simply Camellias, and here’s the Copics I used below. I’ll see how much colouring I get done this month, but it’s always fun to play along in the challenge no matter how much you can do, jump on in! Your bright colors just popped out at me from Kathy's page! Gorgeous! Isn't it nice you can pick the colors to color in an image from your background papers to match? grin! I love that you're taking part in the challenge, Christine. I hope you get lots of coloring done because I love to see it. This is so pretty! She's some well-dressed fairy! I'm trying to participate this time, too, and made my first card yesterday. I have other posts scheduled this week, though, so I'll have to wait till next week to start posting them. I do plan to color everyday, even if I don't finish a card. Oh, Christine, good for you for doing this month's color challenge. I love this fairy, and what beautiful coloring. Love the great layout with the DP. 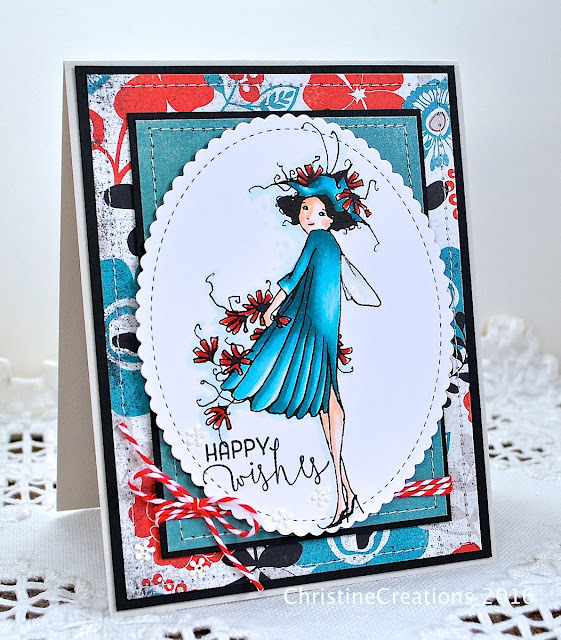 She is one gorgeous gal, and I love your stitching too with the twine! So amazing! Hugs! I love your colour palette - it just pops! Thanks for trying two colour ombre and entering our challenge over at A Day for Daisies. Good luck!